The notion of a svelte and stylish coupe based on BMW’s upcoming i3 electric car seems like an excellent idea. The pair of five-door i3 concepts we’ve seen to date have been attractively chunky but also undeniably boxy. 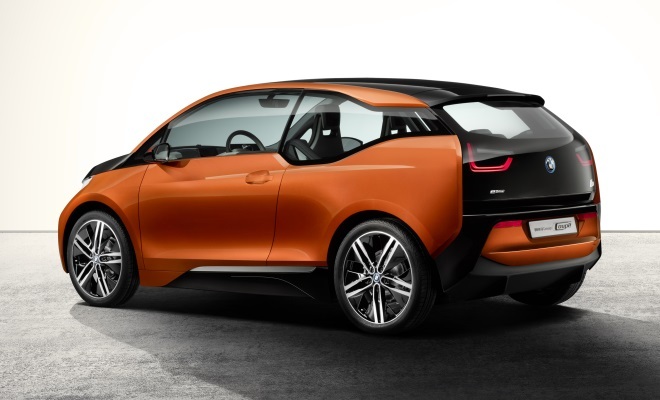 Surprisingly, the i3 Concept Coupe uncovered in Los Angeles yesterday has kept to much the same cubic template. Moving to a three-door format has not furnished the car with much additional grace, indeed it seems slightly less swish than the five door that boasts pillarless construction and rear-hinged rear doors. The Concept Coupe’s wandering windowline, meanwhile, offers unusually deep rear glass but seems to add to the apparent height of the car. Low and rakish this car is not. Indeed, the Concept Coupe’s roofline is actually a couple of centimetres higher than previous i3 show cars, while length has grown by 11cm and width narrowed by 24cm. 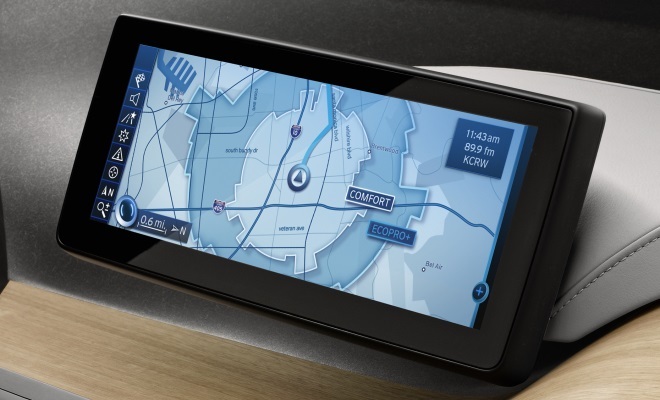 No doubt these new dimensions – 3,964mm long, 1,768mm wide and 1,555mm high – are close to those of the production i3 that will go on sale late next year. It seems reasonable to assume that the interior is close to production as well, given that it is now predominantly grey. Colour aside, this appears to be a delightful interior where tactile materials abound – naturally tanned leather, plant-fibre felt, sustainably sourced eucalyptus wood and brushed aluminium are all in evidence. 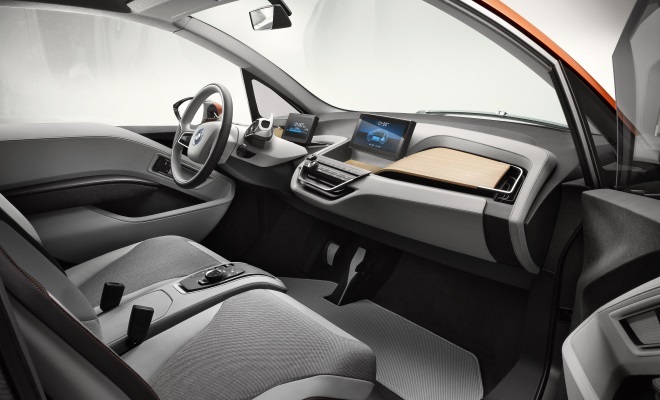 The interior layout also makes the most of the i3’s unusual underpinnings, offering wide-open footwells uninterrupted by a centre console or transmission tunnel – helpful for climbing out of the opposite door in a tight parking spot. The i3 platform is of course rear-wheel drive, but its 125kW (168bhp) electric motor lives under the boot floor not under the bonnet. The lithium-ion battery – holding about 20kWh of charge (BMW is a bit vague) – is a low, flat oblong contained within the car’s aluminium platform chassis. The body structure above shin height is high-tech carbon fibre, while the visible bodywork is mostly thermoplastic – painted a startling metallic orange in this instance. The car’s effective range should be around 100 miles between recharges, and it’s great to see BMW providing excellent information for the driver. The concept boasts a pair of digital screens – a 6.5-inch unit behind the wheel and an 8.8-inch screen at the centreline – which act in concert to display a wide variety of useful stuff. One particularly helpful layout will present the navigation map overlaid with shading to show reachable destinations, not just in the form of a simple circle but with a complex cog-wheel shape governed by road types, topography and real-time traffic conditions. A second area of shading shows the additional ground that can be covered by switching to a more economical driving mode. 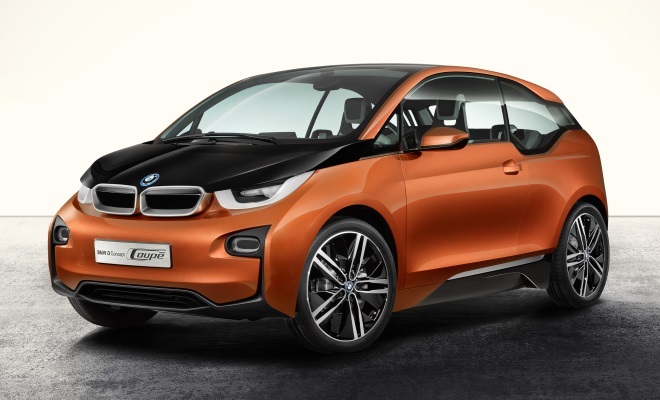 The i3 will offer three modes – Eco Pro+, Eco Pro and Comfort – with each in turn offering increased creature comforts and perkier performance at the expense of range. All told, the latest BMW i-car concept is a very interesting beast – even if it doesn’t make a very convincing coupe.